On my first night stay in Chiang Mai, I watched a Muay Thai competition at Thapae Boxing Stadium which ran for about two hours. I saw a lot of foreigners coming in to see it. I bought a promotional ticket. Tables were all arranged around the ring and I was ushered in to a seat by a waiter. Everyone can make an order of drinks and some food. 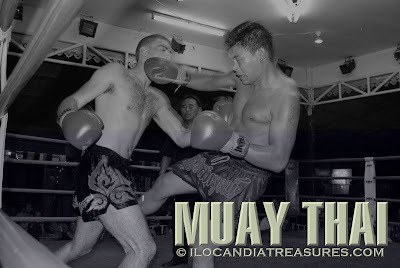 Muay Thai is a traditional hard martial art from Thailand. It is country’s national sport. It is called the Art of Eight Limbs or Science of Eight Limbs. 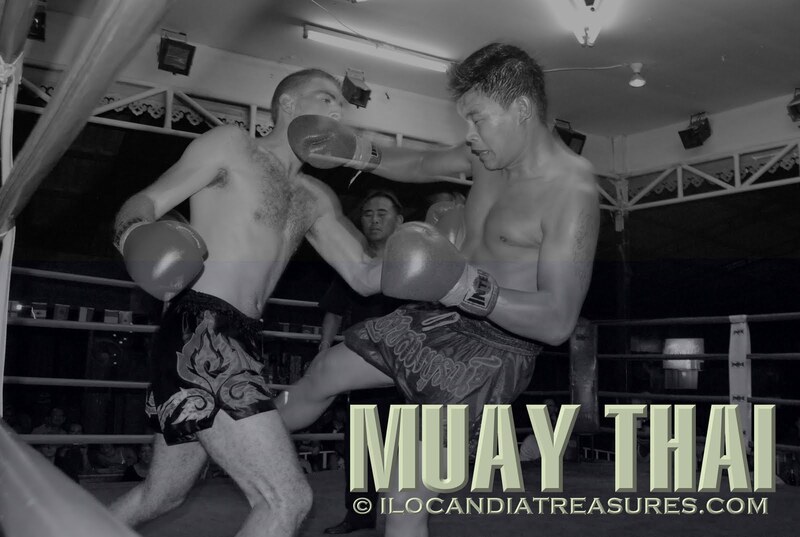 It makes use of kicks, punches, elbows and knees strikes establishing an eight “points of contacts.” A local practitioner of muay thai is called nak muay while a foreign boxer is called nak muay farang. I have seen about four Western practitioners. It’s thrilling to watch because it’s not only men that fight, women also do. The formal form of this martial art employs two kinds of techniques. One is the major technique called mae mai and the other is the minor technique called luk mai. It is often an art of attrition where opponents exchange blows with one another. This is really a tough boxing art where injuries to the body cannot be avoided. There are some ceremonies perform before the match or competition. A practitioner wear a cape with rolled headband before they climb up the ring. Some has to pray and others perform wai khru ram muay which is an action to show respect in Thai culture that is performed by the practitioners. This form of martial art has been around for over a thousand years ago which was said to have started in Ayuthaya. This has evolved from ancient boxing called muay boran and a weapon-based art of krabi krabong which were used by Siamese soldiers during battle. Some of the esteemed skillful boxers were invited to come to live in the royal palace to teach the art to people of the royal palace. They were able to establish royal muay which is also called muay luang to protect the king, royal family and the country.